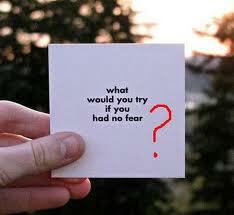 The Second Conditional used for impossible situations, unlikely events, dreams, and advice. This conditional talks about the future, but there isn’t usually a real possibility that this condition will happen. Imagine winning the lottery. Even though you don’t have a ticket, you could buy a lottery ticket in the future and win, so you can still imagine what you would do if that ever happened. It’s not very real, but it’s still possible. We use the Past Simple to talk about the future condition. We use would or could or might + base verb to talk about the result. The “be” verb is usually conjugated in the subjunctive form of “were“. If I loved her, I would marry her. If They won the lottery, they could buy a new house. If she were happy at work, she might not be looking for another job. If I were in your position, I would understand. If you went to Paris, would you visit the Eiffel Tower? I would get a new job if I were you. I could be rich if I worked harder. She might marry Sam if he became rich. He would do it for me if I asked him. What would you do if you lived in China? The difference between the First and Second conditional is usually a matter of the speaker’s attitude rather than facts. For example, Kristen thinks these things are possible, but Jackie doesn’t. Kristen: If I win the lottery, I will travel the world. Jackie: If I won the lottery, I would travel the world. Kristen: If I have more spare time, I will join the sports club. Jackie: If I had more spare time, I would join the sports club. If we were working together, we would finish much faster. If you were living in Vancouver, you could see me every day.